Probably should change this thread title, to what can fit through the mangroves. It has been instructive. Having looked at the various videos it looks like I could get RANTAN through if I sorted the fore and aft propulsion: pole, scull, paddle. More challenging could be getting the snowbank out from in front of the trailer; last winter end of February it was 5' and solid. Just cleaned her and about to put on the snow cover which has got me thinking. I think I can build a take apart cart that would work on the ramps; I have a spot that a pair of the good seitech wheels would fit. If not there would always be the 78 Nordkapp. Anyway, at the head of the ramp at Flamingo there appears to be some trees and dirt. Is this true? I carry several hundred feet of anchor line; would that reach that spot? I can then rig a handy billy to get up the ramp. Between rollers and a collapsible cart I think I have sorted what to do once we hit dry land. I also think I have sorted how to add a slide for long rowing stretches. How is the Wilderness Waterway when it is in the mangrove tunnels kept open? Does the park service trim it back? Literature says that you can take an outboard down it if you work the tides. Is that myth? The ramps are large and deep. Use caution as they are slippery near the water's edge. There are trees, but you would have to take care with cars driving through the area. According to the map scale in GE, it's 116 feet from the trees to the water. I often use the narrow ramp shown by the red star in this image. In this case a tree is much closer but it's not directly inline with the ramp. In my case I attach a homemade cart while the kayak is in the water, dump my water (weight) and haul out, using the roads and sidewalks. Thanks, that narrow one looks interesting. As long as I have some kind of deadman or can create it with my anchor I am OK. Wide enough for a 5 boot boat? What I am figuring is use rollers to get up the ramp, the same ones to be used for beach rollers at the launch, then assemble the cart under the boat. 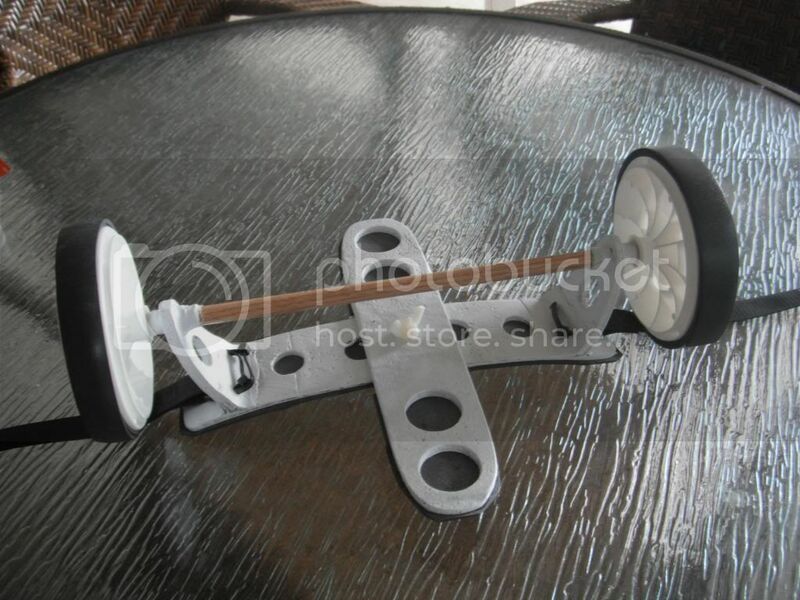 The cart would be an approriate long board with pipe axle under it. Slide it under, lever up a little put on tire then do same on others side. As a tip, you can use GE street view to take a close look around. 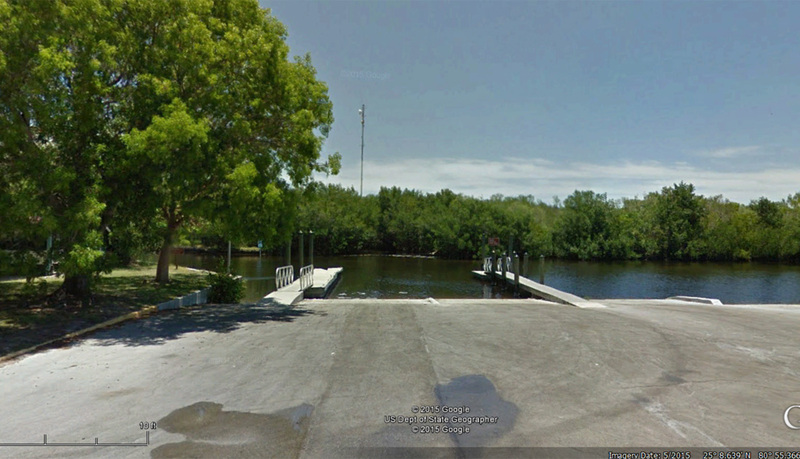 Here is the small ramp on the left in GE street view. I don't recall how wide the ramp is. It looks like about 6 feet on the GE map scale. My potential ground crew suggests that the ground looks smooth enough for skateboard wheels? True? Is it all paved or are we looking at compacted dirt? All paved. Was just there last week. I'd still go bigger than skateboard wheels. YMMV. The ramp itself is corrugated, making skateboard wheels almost impossible. Once the boat is above the slope of the ramp, the wheels will work on the old asphalt. I saw the incentive. I figure to tie up, rig a haul up line and get out the rollers, then use rollers to go up the ramp. Then breath a sigh of relief, and transfer to the cart. I'm not spending time at the waters edge trying to get the boat balance on a cart. Testing will be a challenge in February in Maine. Good news is that I have some experience getting boats on and off trailers using rollers and carts. I do it often. Hassle will be the new cart. It may be that it gets tested in Florida and is left in the truck if it doesn't work, we make the route decision before we leave. At seventy we are not looking at speed, we are looking for style. Gear quiver has sculling gear, a push pole, a paddle, will be getting a short sliding seat, and a light floaty downwind sail, all in addition to the well proven sailing and rowing rig. I did the Nightmare and upper Broad Creek last week. You are going to have a REALLY tough time making it through there with a five foot wide boat. It's more overgrown than I have seen it before and the Park Service does not maintain it. SeaBag, no. If you don't fit your boat does not belong. Don't spoil the wildness. Motorboats do not go through there. But look at the charts and Google earth, there are many channels a bit wider. Alligator Creek (the one north of Lostmans Five) is only about 15 feet across in stretches. Get creative with your route, but don't hack up the mangroves for an alligator tooth. No worries. I can see that there are many ways around and through. I was just hoping that the Park Service notes about motorboat size passages were correct. What I'd have to figure is whether, if the WW is out, it is worth while to carry the kit needed for the Flamingo Key portage, and indeed some of the propulsion kit like a sculling oar and a push pole. Just stay out side like most of the Class 4 boats do. There are many areas of very shallow water that may be encountered along the Wilderness Waterway. Powerboats over 18' long may have to detour around Alligator Creek and Plate Creek. The “Nightmare” is passable only to paddlers at high tide. To prevent prop dredging, which results in increased turbidity and the destruction of submerged natural features, boats with drafts of two feet or more, including the propeller, should not use the waterway. Greg, Where I was getting it was from the park service map which only talks about height not beam. I can see giving up Nightmare but upper Broad is equally bad or worse. Looks like rowing on Christmas day here, bare handed even. And maybe a run out today in thick fog after bailing the dory. Best to all hands and especially people who are putting up with my queries from a thousand miles away. Come visit in the summer. and overhanging foliage in some areas. The route takes a minimum of six hours with an outboard motor or seven days by canoe. One-day round trips are not advised. Campsites are available on the route; backcountry per- mits are required. I'm all in for a counterclockwize 50NM circumnavigation event of Mount Desert Island in July with no log in book! And if the weather/seas are too rough or too cold, or we realize we are not very brave at severly rocky coast landings in big surf, we just screw that, and go cycling, sightseeing and camping for 3 days and really enjoy ourselves! On different tack, all these brave insiders though EG every worry you maybe earning more than one .... gator tooth? SeaBag, I hail from CT. For me, the mangrove swamps and alligators of the inside route were priceless. It is always faster to go outside at least to Ponce de Leon, and sailing the tight waterways inside is probably exasperatingly tedious. But if you have the itch I say go for it, no one else here pays attention to what is or is not possible. Who would have thought an AI could do it? Just have a plan B. As was mentioned, the whitewater bay route can give you some very unique experiences. Impressively tall mangrove forests unlike anything I've seen as you head in from the gulf. BB, mid-July is the Blackburn Challenge in Gloucester MA. A good 20 mile training run for your idea, if you ditch your sail for a SUP. Thanks for the encouragement. I'll probably develop the portage cart for RANTAN anyway as I have the wheels and all I need is a bit of axle steel and some one by and a couple of U bolts. I'll also develop the drop in slide as it would be kind of neat and could be used for some other stuff. BB there is a natural UM at MDI. One of the Passamaquoddy leaders in the days of Gilded Age glory and grand hotels did a round MDI non stop paddle in a bark canoe. Its 50-60 miles a good UM distance. One could start and finish at Lamoine State Park and you could have the option of clockwise or counter clockwise. Pick a time when there was water under the bridge. Could be quite amusing. Reviving old thread. lmost threw this out. 1.2lb portage cart for Epic 18X used once in Flamingo. Won't work with my kayakpro. Free to good home. Offer of trade for decent 6 pack of IPA will enhance odds of winning. Shipping not included, will bring to skipperrs meeting.